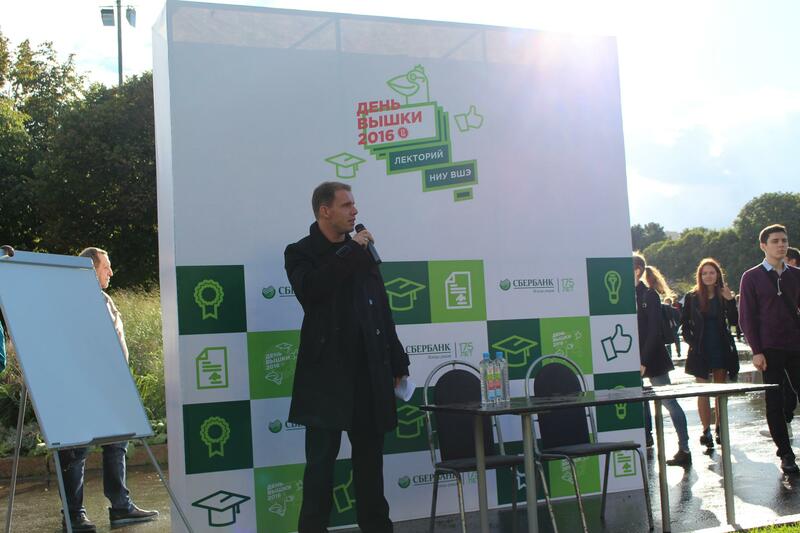 This is the 2nd part (2/4) of my Open Talk on Innovation and Public Service Motivation that I delivered at HSE Day 2016, at 8th of September in Moscow’s Gorky Park. The job of any public administration is to do something: The job of Мосгорпарк is to run and maintain the parks and recreational areas in the City of Moscow, and to develop them. Moscow offers its residents more than a dozen big parks, covering more than 100 sq. km. Gorky Park is the most popular among them, at par with Sokolniki, according to 2012 ratings. Mosgorpark was founded only in 2011; as a branch of the Ministry of Culture of Moscow’s City Government. Its ambitious mission statement is to “make Moscow convenient for all”; the annual budget for doing so is some 8bn rubles (equals some 110m euros) in 2015 and 2016 (down from 11bn in 2014). Given its mission statement and budget, Mosgorpark employees few own permanent staff. The official staff number is 70 employees, including the agency director Marina Lyulchuck, and four executive directors. When the agency was created in 2011, most public administrators came to their position because of their excellence in other professional fields, such as architecture, landscaping, and event-management (Interview with agency head Marina Lyltchuk, http://moscowtorgi.ru/news/gorodskoe_hoziaistvo/1495/, retrieved 2016-09-07). Running and maintaining Gorky Park – this seems to include a lot of routine jobs, e.g. cleaning up the bins, planting flowers, fixing broken benches, and providing a safe environment for visitors. But every organization not only has to get day-to-day routine work right. Even achieving a baseline level of performance, touching the bottom line of expectations, from time to time requires some innovation. It is not enough to clean up the bin in Gorky Park every morning. As an agency head or executive director you have to come up with “new ways of doing things” (Fernandez and Moldagiev 2013) from time to time. This is something two of the founding fathers of modern Public Administration have emphasized more than 50 years ago. The first one was Herbert A. Simon, a Nobel laurate; the second was James G. March; in 1958 they co-authored a book called “Organizations”. New ways of doing things – this is just another term for innovation. Visitors demand events, new attractions for kids. To keep up with these growing demands requires a creative mindset. And it requires employees with a high level of innovation motivation. This is what makes a top-performing organization. The first type of behavior is error-correcting behavior. To a varying degree public servants try to detect and fix small errors in everyday working routines. The second type of behavior is innovative behavior. Public Administration heavily relies on rules, or standard operating procedures. SOPs help civil servants to take a decision in standard situation. But SOPs do not support public managers in non-standard situations. In non-standard situations civil servants to a varying degree try to come up with new ways of doing things. The case of Gorky Park demonstrates that both error-correcting and innovative behavior has positive effects for community members.